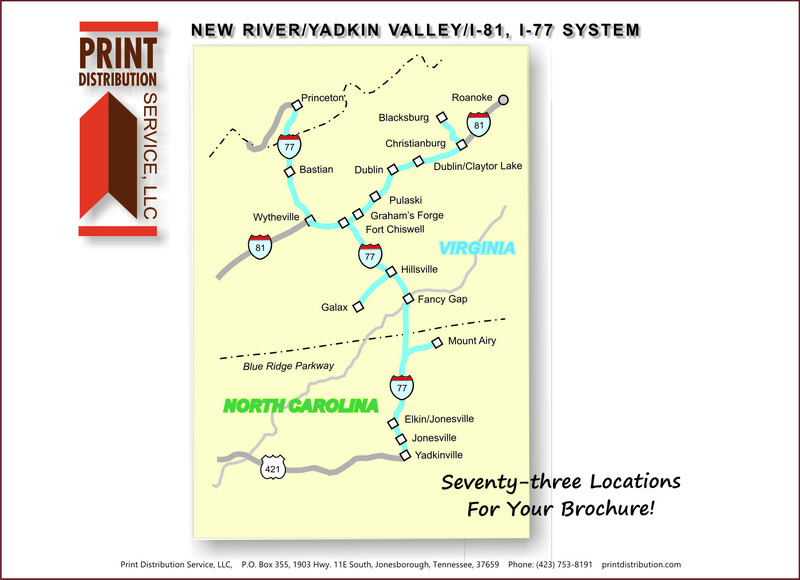 73 racks located throughout Virginia’s New River Valley and into the Yadkin Valley of North Carolina along Interstate 77. 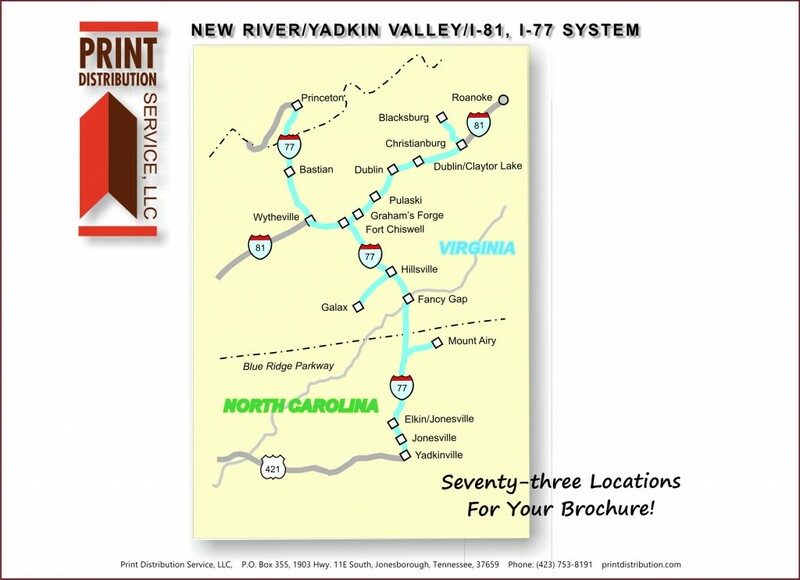 This service area includes Wythville, Christiansburg, Blacksburg, Hillville, Galax, and Fancy Gap along Interstate 77 and 81 in Virginia. This route extends North on I-77 to Princeton, West Virginia and on I-77 to Mt. Airy, Jonesville, Elkin, and Yadkinville in North Carolina.